I have provisioned every part of your existence, says the Lord. Nothing is exempt. I have kept you in the past. I Am your keeper today, and I will be your inexhaustible supply tomorrow, says the Lord. Since your destiny that often seems distant and difficult and unachievable for you, remember that it is nothing for Me. I Am the One who created you. I didn’t leave anything undone in your life. I even have the ability to go into the past and eradicate the negative and rewrite the positive for a bountiful and blessed harvest. You may think this to be impossible, but I Am the eternal God of your salvation. I Am ever present in your past and your future to meet your need, not just the God of your here and now. You may feel confined to the things that you can see and feel and hear and taste, but I Am not. I will do whatever it takes to bring you into your destiny, for I Am the one who created it and will implement what is needed to fulfill all My prescribed purposes in your life. SInce My will and My Word and My ways are not only unchangeable but undeniable, I will do what I said concerning you, and I have all that it takes to accomplish it. Yours it to believe that I Am able and willing, independent upon any person, place or things, says the Lord. The good of the land is before you. 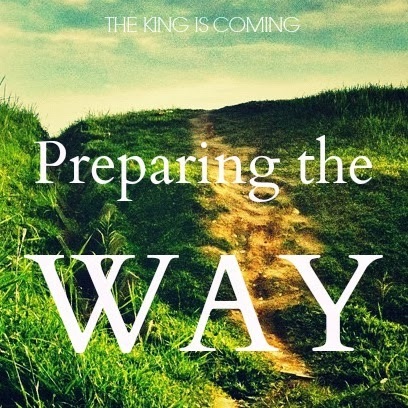 I preparing the way. I own the universe that I have created. If this is not enough to strengthen your faith as you meditate on My greatness, then consider the heavens that are Mine. I created them. Think of the past that you deemed as problematic and complicated and unachievable, and see where I have brought you from. Look at how I changed things for you and made a way for you when you could not comprehend how I would or could do it. But I did. It was independent upon your abilities. It was independent upon what others could do. It was totally dependent upon My forever faithfulness and goodness and mercy toward you. It was never a concern for me. Now as you face the unpredictable future and listen to the news casters that predict a gloomy forecast of things to come, consider that I have not created you to be depressed or disabled, burdened down and lacking. I have given you not only help today, but your future is secure in Me. Look ahead with trust in My faithful provision, for there is no lacking in sight. I will give Am already preparing every step of your way so that you will safely arrive to your fully prescribed destiny in Me, provisioned and on time, says the Lord.